Seeking to know Christ and to make him known. High Street Methodist Church is located at the top of the High Street in the centre of Maidenhead. The Sunday morning worship includes a mixture of traditional hymns with an organ, and more contemporary music with a worship band. There is a lunchtime Communion every Thursday at 12.45 pm. 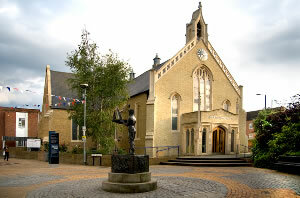 The church premises are easily accessible to wheelchair users. We have an Induction Loop system in the church for those with hearing aids. Hymn books are available in large print from the Door Stewards. 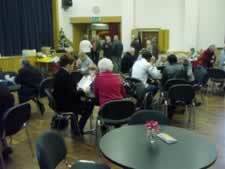 We are a very lively church with many regular activities. 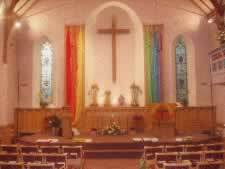 This page is only an introduction to High Street Methodist Church. Regular weekday activities for different ages. Visit the church's own website which includes a list of its ministers at the bottom of its history page, with a short biography of each. In the 1820s Maidenhead was a town with a population of 2,000. Much of the current town was then a series of cornfields, and the town comprised little more than High Street, King Street (called Braywick Road) and West Street — "The Back Lane", with an open ditch running all down the north side of it. 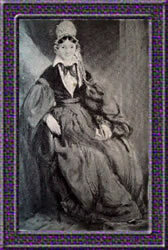 Methodism was introduced into Maidenhead by John and Jemima Higgs. John worked diligently at school, staying on until he was 14, when he became an apprentice to a doctor in Maidenhead, followed by two years in London. On his return he opened his own chemist's shop. It has been said he spent much of his time in drinking, gambling and "sinful pleasure"1, though he may have been just a typical young man of his time. In contrast, Jemima grew up in Dudley, attending worship in her local Methodist Church. On 9th November 1828, shortly after they married, Jemima persuaded John to take her to the nearest Methodist Church, namely Windsor. This was a turning point — a conversion experience. 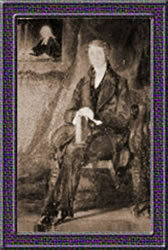 John organised the first Methodist service in Maidenhead, on 2nd July 1829, in a room at the Town Hall. This was so well attended that a room was hired for two shillings a week, registered as a place of worship, and used for about six months. Then a disused fish shop at, or near, No. 23 Bridge Street was secured, fitted with a pulpit, two pews and some forms, and the first service there was on Christmas Day 1829. Despite much opposition and persecution, the society thrived and became an integral part of the Windsor Circuit. 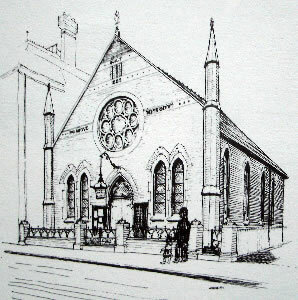 The first Chapel was opened in Bridge Street on 16th August 1833. It was small, all chapel … there were no vestries or classrooms, the pews had no book boards … Recovery, after a spell of dwindling numbers in the 1840s, highlighted the need for additional accommodation. The first Chapel enlargement took place in 1849, after matters came to a head when a Mr Walker announced that he had purchased a small organ, and was willing to present it for the use of the Chapel. The offer was gratefully accepted … but, to make room for the new organ, alterations to the roof were required! The opportunity was taken to extend the chapel and provide an improved Communion space, and to add a porch and a vestry. While the Wesleyans were concentrating on this scheme, a group of "Reformers" held a meeting in the Town Hall on 14th February 1854, as a result of which land was purchased for a Wesleyan Schoolroom. The foundation stone was laid on 7th June 1855, and the building opened on 19th August 1855. Scarcely was this completed successfully, than it became increasingly vital to augment the accommodation in the chapel. On 5th October 1856, it was agreed that side galleries ought to be erected. The work was authorised, the builder set to work, and completed (just) in time for the re-opening services on 11th December 1856. Not withstanding the extensions, Bridge Street Chapel soon became once more far too small to accommodate the congregations. While the leaders were prayerfully seeking a solution, overtures were made to them by the trustees of the Countess of Huntingdon's Chapel. It was decided to purchase the chapel and grounds for £700, and the property was made over on 8th October 1858. The Chapel in question was an attractive building in the perpendicular style, standing in a splendid position at the top of High Street, where the roads from London, Reading, Marlow and Windsor all converge. Repairing and renovating the Chapel and enlarging it with transepts. Erecting a Sunday School Room, Lecture Room and classrooms, plus Day School accommodation. With the memorial stones laid on 21st May 1877, the new schoolroom was opened on 25th September 1877, at the same time as the stonelaying for the transepts. The "Primitives" formed a society in Maidenhead in 1844 and, after worshipping in a room over a granary in Market Street, a room in the rear of No. 27 High Street, in Albert Street and in Bridge Street, bought the Wesleyan Chapel in Bridge Street, when the Wesleyans moved out (see above). The price: £275. Over the next 35 years their numbers grew slowly but steadily. In 1880, Rev George Doe was appointed Superintendent Minister. Under his leadership the decision was taken to build a new chapel. 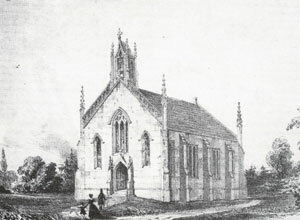 A plot of land in Queen Street was leased in 1881, and a new chapel built. The Chapel was opened officially on 10th September 1882. In contrast with the damp, musty smell of the Bridge Street Chapel, it was light, spacious and well ventilated.4 It had seating for 230 people5 and cost £1,550. 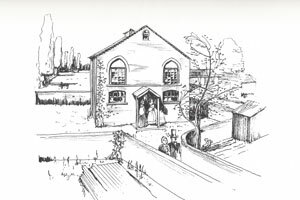 The facilities were a significant improvement on the previous chapel, and the building included a schoolroom, a classroom and toilets. Around this time, too, the Primitive Methodist Connexion re-organised. 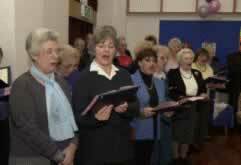 This included the formation of the London 2nd District, and the Windsor branch, which later became the Windsor Primitive Methodist Circuit. 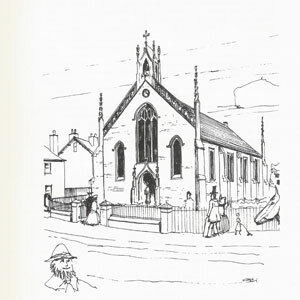 In the 5 years Rev George Doe was in Maidenhead, the membership rose from 34 to 90, the Sunday School more than doubled its numbers to 160, income was now equalling expenditure and the debt on the new Chapel had been reduced to £300. The Primitives were firmly established! At the Methodist Conference in 1932, the Primitive Methodists, the Wesleyan Methodists and the United Methodist Church amalgamated. 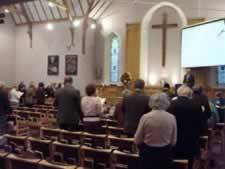 However, it was not until 1955 that the two Maidenhead societies agreed to worship together at the High Street Church. Approval was given at all levels from Church to Connexion. The final services at Queen Street Church were the Harvest Festival services on 2nd October 1955. The majority of the Queen Street congregation joined High Street, though a few transferred to St Mark's Crescent. Remember the earlier comment about women preachers? Now, for the first time, the High Street Trustees included ladies! Great efforts were made to ensure a smooth transition. For example, how should a choice be made between two former office holders for the same post? Compromise! Appoint both to act jointly! With mutual goodwill, the arrangements worked smoothly until, eventually, returning to the "normal" one. In 1969 a road relief system (Frascati Way) was built in Maidenhead. A remodelled sanctuary area with a new pulpit, lectern, font and altar table. A number of meeting rooms, including Wesley Hall, Bromley Room and Upson Room. The stonelaying ceremony took place on 25th March 1972, and the complex was opened on 10th February 1973. Since then the premises have undergone modernisation on a regular basis, with pews replaced by chairs, and both the church and Wesley Hall completely refurbished. Between July 2007 and July 2009, members were challenged to raise £100,000 for essential maintenance … a challenge they achieved! The next few years saw structural repairs to the Church and much work on the roof. The bell tower was restored, and the bell re-tuned! The stonework was repaired on the northern front face of the church, and brought to the pristine condition shown in this photograph. 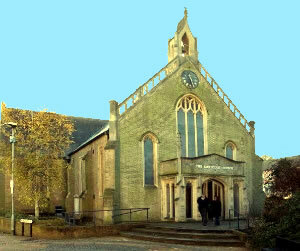 The building is again worthy of this church which maintains a strong Christian Methodist presence at the centre of Maidenhead. High Street's website includes a list of its ministers with a short biography of each. Source documents vary between 230 and 300. The Thames Valley Circuit would like to express its appreciation to Peter Hardiment for permission to reproduce a number of photographs from his book. A leaflet, based on Sid Yard's book, is available at the church, giving a guided tour of the building, with additional information about its people, its artefacts and its history.